It may be a new year, but it’s the same old soapy problems for the “Dynasty” that is the Carringtons. “A Champagne Mood” quickly cleans up the cliffhangers from the fall finale only to create some fresh messes. We find out seconds into the episode that Jeff survived being shot slash in a car crash, although the hospital bed he’s convalescing in is at the Carringtons’ manor. Jeff and Monica are, understandably, pretty peeved that Culhane’s actions almost got them both killed, and Jeff is quick to swear revenge. But, believing Culhane has come completely clean with her about his dealings with Ada Stone (spoiler – he hasn’t), Fallon is standing by her man, and is willing to go to great lengths to make sure Nico – the shipping guy from Van Kirk Industries – doesn’t give Culhane’s name to the FBI. Hilariously, this involves dressing up in a maid’s outfit (with stilettos!) so she can arrange a clandestine meeting (and sidebar – I found it silly throughout this storyline that this dude wouldn’t recognize Fallon, an internationally known businesswoman and socialite who just married into the Van Kirks, like, six months ago. But oh well). Nico isn’t budging, though. So then Fallon and Culhane have the balls to go see...Liam! Liam, again understandably, doesn’t see why he should sully his family’s name to help his ex-wife and his romantic rival. But because he’s generally a good guy, when Fallon tells him the truth about Uncle Max’s indecent proposal, he assists them in doctoring a smoking gun Fallon uses to blackmail Nico into playing ball. But all it takes is Jeff dripping a little poison in her ears for the scales to fall from Fallon’s eyes about her fiancé. I was kinda surprised Fallon didn’t demand some kind of proof, but I also got the sense that she always knew there was more to the story, but was trying to ignore her instincts. And rocked by some other events at the episode’s mandatory party (more on that in a bit), she decides to throw in the towel and calls off the engagement. “I might be able to forgive you someday,” she levels at Culhane, “but I’ll never be able to trust you again.” And I really liked that, given how she’s toyed with him, when Fallon goes to pick the discarded Liam up off the ground, she’s greeted with blonde, booby evidence that he’s moved on. 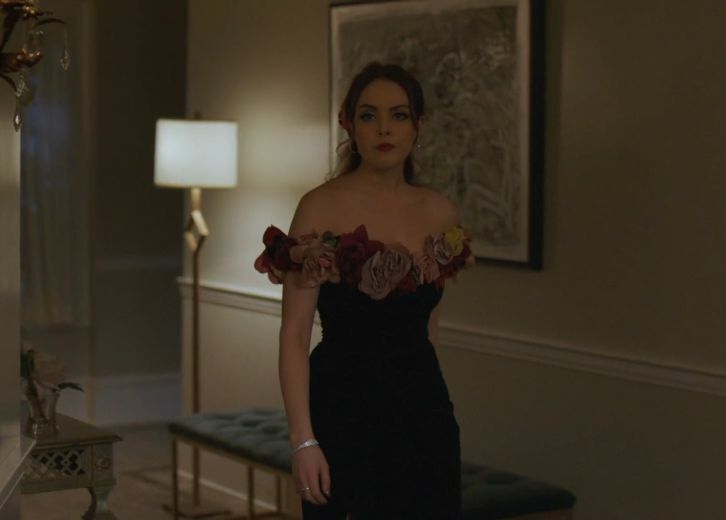 Loved Elizabeth Gillies’ reaction work in this moment – a little hurt, but then sauntering off with a “You know what, fair enough” smirk on her face. I’m sure Fallon’s not truly done with either of these dudes (I’m still waiting for the Van Kirks to emerge as uber-villains and I’d imagine Liam would be part of that story), but I’m looking forward to seeing Fallon sans a man for a while. Jeff, feeling that he and Culhane are now even (and sidebar – right after being dumped by Fallon, Culhane gets a call that his mom’s house has been broken into. It’s never spelled out, but I assume that was also Jeff’s doing), decides to turn his attention to another endeavor. 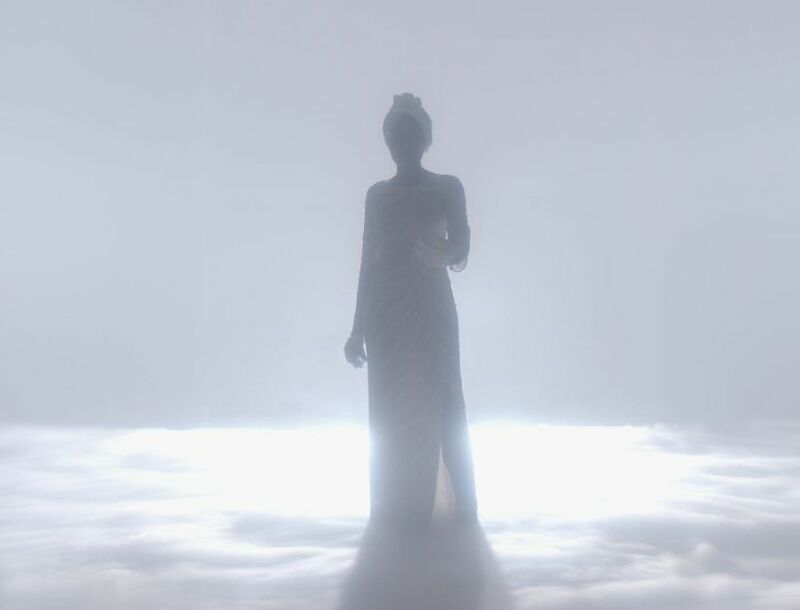 Earlier in the episode, Jeff briefly went into cardiac arrest and had a (fairly creepy) dream about his mother, the infamous Dominique. Like many a television character before him, this near-death experience leads him to an epiphany – in his case, that he wants a relationship with his mother. So he ends up leaving a voicemail message for her. Monica is horrified (and it’s here I’ll mention that Monica is wearing insanely soapy clothes, hair, and jewelry throughout the episode. You’re the best, Wakeema Hollis! ), insisting that their mother is toxic and will only cause a lot of trouble. Here’s hoping! It might be a bit because I don’t think she’s been cast yet (I would love to see either of the Vanessa Williamses take on the role), but I’m already anticipating Dominique’s debut. So the cliffhanger about Steven – that he was missing, having never gotten on his plane home from Paraguay – turns out to be a bit of a fake-out as Sam receives word that Steven went on an ayahuasca spiritual retreat in the jungle. Now that he knows he’s safe, Sam is getting more and more annoyed with his absentee husband, first skipping their Christmas together, and then sticking Sam with hosting the charity gala for his foundation. And then – gasp! – Sam gets divorce papers in the mail! This sends him into a tailspin, especially when he confides in Cristal and she concedes that Steven might want a fresh start after all the trauma he’s been through. Sam surprisingly makes it through his speech at the fundraiser without embarrassing himself or the family. But as soon as he starts drinking with a friend who’s been dumped by his boyfriend, it’s no surprise when we later cut to them furiously making out. What was a surprise, in the best way, was Fallon walking in on them and slapping the spit out of Sam. It’s always a good episode of “Dynasty” when Fallon gets to wallop someone. Later, Sam’s in bed, trying to put the whole horrible night behind him, when he gets a call from Steven. And we actually see Steven! And he’s still got James Mackay’s face! Steven is cryptic but apologetic, blaming the ayahuasca for the divorce papers and pleading with Sam that he still loves him. But when he hangs up, the camera pans out to show us that Steven’s not in the jungles of Paraguay, he’s in a fancy café in a metropolitan city and has clearly been drinking wine with someone. On one hand, it’s good they showed us Steven and hinted that he’s in some kind of trouble that’s keeping him away from home, because the off-screen character was becoming extremely unlikable. That said, this storyline is still too sluggish, with no real end in sight. Hopefully the Steven sighting means the show’s about to pick up the pace. Something that does move fast? Blake’s swimmers, because Cristal’s pregnant! While Blake cheerfully finalizes the purchase of his soccer team (there’s a bit of a subplot where Blake needs Jeff’s help and the two cut a deal to work together on it), Cristal frets about the timing of her pregnancy, given what’s going on with Blake’s other children, plus the fact that it makes her look super golddigger-y. The choice of when to tell Blake is taken out of her hands, however, when she has a dizzy spell at the party and the pregnancy test falls out of her purse. At first, Blake seems upset. But then, he gets up to give a speech – echoing his toast back in the season premiere, which he acknowledges – and happily announces his new business and his new baby. But uh oh, we then see Cristal texting with an M. Jennings, who wants to know if the baby is his! At first, Cristal goes to write that she isn’t sure, but then changes her mind and insists the father is Blake. Oh Cristal, you minx! In any case, no matter who the baby daddy is, I’m guessing now that Cristal will tumble off a horse or down a flight of stairs before the season’s over. Did the midseason premiere of “Dynasty” put you in “A Champagne Mood?” Or did you find the drama flat? Please come share your thoughts in the comments section.